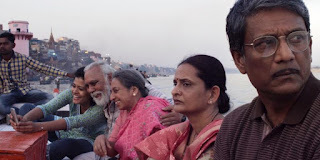 Struck by the sound of his late wife calling to him in a powerful recurring dream, one night over dinner, seventy-seven year old Daya (Lalit Behl) tells his family that he's sure of two things. Not only does he know that it's his time to die, he says in a voice calm enough to startle his dubious loved ones, but he's also sure precisely where it is that he wants to lay his head at the end. 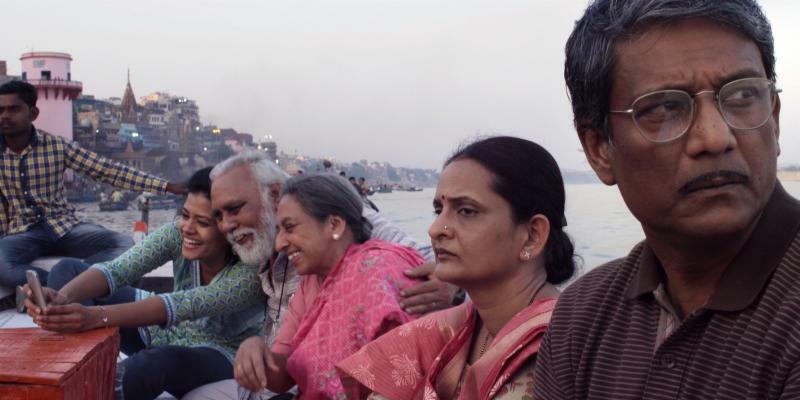 Granting his final wish to bring him to India’s holy city of Varnasi, located on the banks of the Ganges, Daya’s hardworking and perpetually stressed son, Rajiv (played by Life of Pi actor Adil Hussain) takes time off from selling life insurance to humor his father. 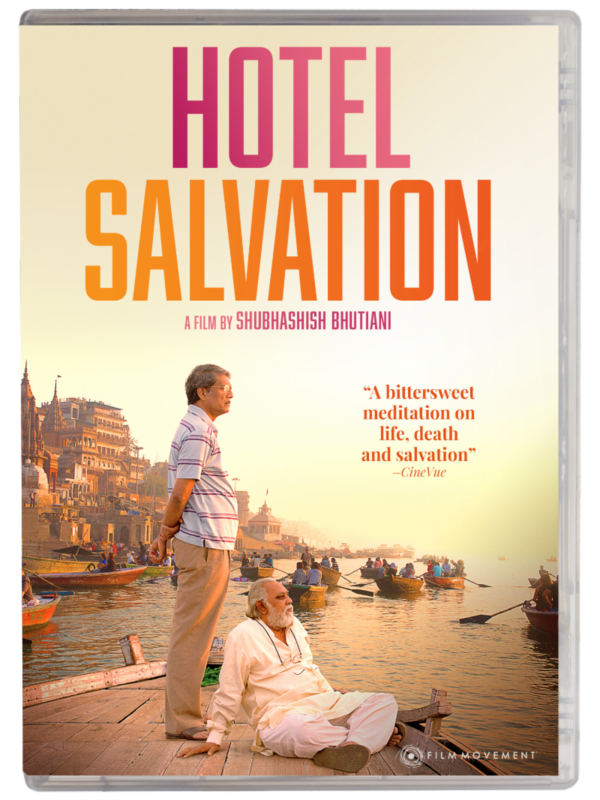 Not ready to believe him and not ready to let him go, the two men set off on a journey to stay at Hotel Salvation, one of the many hotels on Ganges, which gives its dying tenants two weeks to get their affairs in order, say their goodbyes, and move on one way or another. 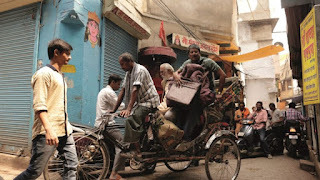 Bickering back and forth from the moment they leave home about everything from Rajiv wanting to drive fast and Daya wanting to go slow to the past hurts between parents and children, although it deals frankly with the deadly serious topic of death, Shubhashish Bhutiani’s universally relatable directorial debut is filled with a zest for life. Reminiscent of Little Miss Sunshine, Tokyo Story, and Wild Strawberries, in this vibrant and humanistic award-winner, Bhutiani finds a great deal of unexpected humor in the film's complex father/son relationship and the role that the past plays in the present with three generations of diverse relatives. Alternating between emotional highs and lows, admittedly this is a difficult film to recommend to viewers who are either caring for or who have recently lost their own parent as it sneaks up on you nearly as quickly as it makes you laugh (or rather smile in amused recognition). Painting an end of life portrait with both sensitivity and respect while also celebrating the legacy of life left behind in a person's loved ones, Bhutiani makes an auspicious debut with Hotel Salvation, which is nicely paired by director Frédéric Recrosio’s thematically similar, Wes Anderson stylized supporting short Que La Nuit Soit Douce on the new DVD from Film Movement.